One broker believes maximum amortization limits should remain unchanged but that first-time buyers should be given the option to make interest-only payments for the first few years. Ross expanded on his position by estimating that a homebuyer with a $250,000 mortgage could save $500 per month – and around $30,000 in total – in those first five years. He also considered a cash back component to ensure the saved funds are properly utilized. However, payments would increase after that five-year grace period – and rates could fluctuate in that time – meaning clients would be required to be much more financially healthy for the remainder of the mortgage’s life to ensure they meet the increased payments. The comment was sparked by a discussion around longer amortization periods for first-time homebuyers, a suggestion put forth by the Canadian Home Builders Association. The Globe and Mail recently obtained government documents that show the CHBA had 61 meetings last month with officials and politicians to discuss proposals including longer amortization periods for first-time homebuyers. Low down payment, insured, interest only mortgages for purchases = utter insanity. I wish we could see more rational articles generated on this board. This would be no different that what banks in the U.S. were doing before the melt down. giving home buyers a cheap mortgage payment for a short period of time and then jacking the payment up to where they could not afford it. A $360K mortgage has an interest payment of roughly $800 per month right now. If you convert that to a 5 year term amortized mortgage over 25 years that payment is nearly $1,500.00. Realistically how many people do you know that could successfully adjust their lifestyle to having $700 per month less to spend on lifestyle and have to put it towards a mortgage. Then when they can't make their payments and get foreclosed on there has been no equity build up in the home for them to hopefully get something out. Realtors won't want to list the home as there is a great chance that there isn't enough money in the deal to pay the commission fees. The banks will end up selling the home at a discount and relying on the mortgage insurance to cover the balance and then CMHC will go after the borrower through civil litigation for what they paid the bank. The banks are currently afraid to even allow existing homeowners that have a history of making payments the ability to get an interest only mortgage up to 80% loan to value, what makes you think that they would in any way even consider an idea like this. They wouldn't for all the same reasons I stated above plus others I did not. There is a direct correlation between increased foreclosure risk and reduced equity in a property. With the majority of FTHB's opting for Condos, which in the 'raging insanity' of the Vancouver market even have still seen little more than a 7% increase over the past 5 years, and in many parts of town flat results or even a decrease, this would be sowing the seeds of disaster. With interest rates so low currently clients are seeing greater than 50% of their payments go towards principal reduction. 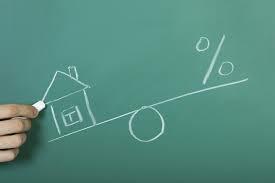 Todays rates present an opportunity to build equity faster than ever in a property. Few things are as strong an economic buffer as the stability of equity in a property. In many cases there would not even be enough equity to cover the cost of selling the property 5 yrs later. Yet another reason people would consider throwing the keys at the bank and walk away.